The riddle of where you can find unlimited¹ calling to Leicester has finally been solved. It’s what can make calling England from USA a no-risk, pleasant experience, which will be a big change if you’re a regular calling card user. Once you sign up for Vonage World, we’ll ship you a Vonage Box™, the VoIP device that will let you use the Internet to call Leicester…or anywhere else in the UK. For just one low monthly rate you’ll be able to call any landline in Leicester, and for just a little more per-minute, you can call cell phones too. Additionally, Vonage World will equip you with unlimited¹ calling to landlines in over 60 countries and mobiles in more than 10 others. 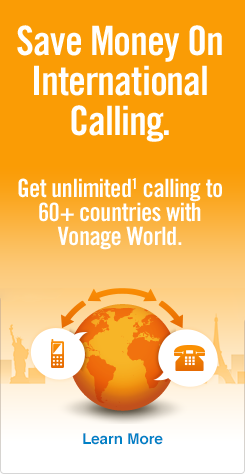 Take a look at our Vonage World site for full details and information. Then, dial 116 — the Leicester area code (landlines only*). Finish dialing with the local 7-digit Leicester local phone number. *To call mobiles in Leicester, dial the following: The US exit code first, then the UK country code, and lastly, dial “7” and the remainder of the 9-digit number. For a more comprehensive list of city and area codes, see our how to call the UK guide. No more searching for the cheapest way to call Leicester. You can get calling as quickly as you can get signed up for Vonage! Leicester traces its history back almost 2,000 years, but you’ll enjoy this metropolis as much for its modern appeal. Ancient cathedrals and futuristic buildings sit side by side in this eminently charming English city. Leicester is a noted commercial hub for the UK, with large branches of British Gas, Wal-Mart, and Caterpillar (to name a few) situated in city limits. Leicester can satisfy your more rustic cravings as well, though, since it’s home to the Europe’s largest (roofed) marketplace, Leicester Market. We hope your trip to Leicester is memorable, pleasurable, and all the other positive “ables” we don’t have room to include!